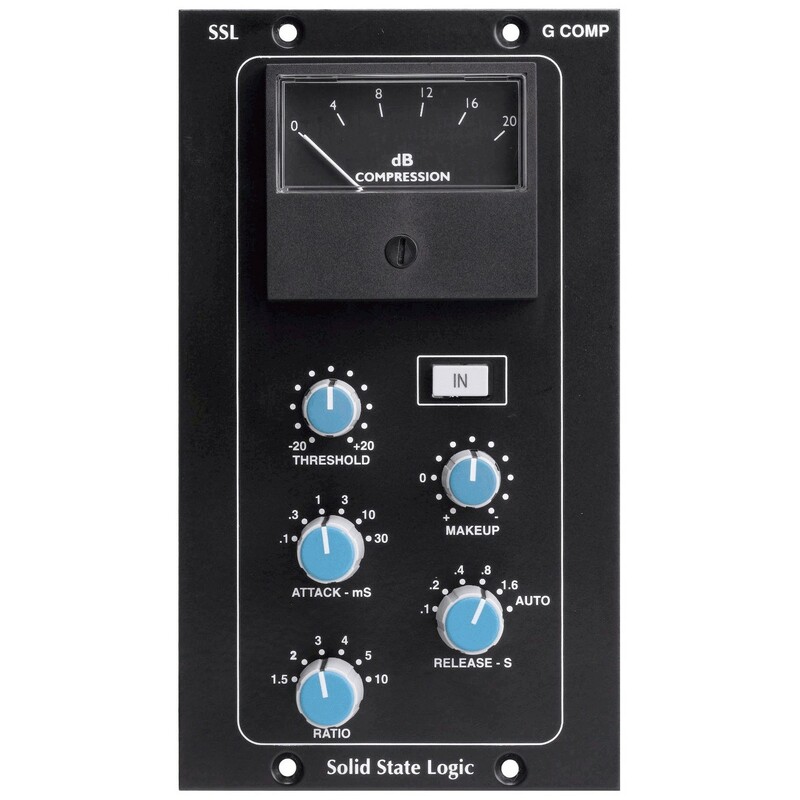 The well known G series SSL stereo bus compressor in a 500 series 2 slot format. Threshold - attack - ratio - make up gain - release. Good metering.